The global energy demand is on a significant rise. Expansion of drilling activities has led to an increase in the use of drilling equipment. Downhole Tools, highly critical drilling equipment, help the oil well in optimizing the production levels and maintain a consistent flow from a reservoir. According to recent market insights, the downhole tools market is expected to grow from an estimated USD 3.53 billion in 2014 to USD 4.49 billion by 2020. Certainly, this represents a strong market growth and consequently, more business opportunities for downhole tools manufacturers and suppliers. In oil and gas exploration and production activities, downhole tools play a key role. These tools are effectively used in workover and completion activities of a well in the Bottom Hole Assembly. Based on the formation characteristics of the reservoir and the desired rate of penetration, downhole tools are selected. Downhole tools are used in diverse operations such as casing, fishing, cementing, drilling, fracturing, well bottom communication, logging, and well measurements. The increasing demand for highly advanced tools that function optimally in conditions of high temperature and pressure also been a major driver of the downhole tools market. Downhole tools market is expected to grow from an estimated USD 3.53 Billion in 2014 to USD 4.49 Billion by 2020, at a CAGR of 4.9% from 2014 to 2019. The widespread requirement of downhole tools has occurred worldwide owing to the increase in exploration activities for shale and other resources. Further, there is an increasing requirement especially across the North American region, followed by South and Central America and Asia-Pacific. A recent report by Markets and Markets has highlighted that the Downhole Tools market for well intervention held the largest segment share in 2014. The market is segmented by application into – Well Intervention, Well Completion, Well Drilling, Oil & gas production, formation, and evaluation. In 2014, the demand for Downhole tools for well intervention was the highest and driven by the demand from a large number of matured wells around the world. Some of the downhole tools used in well intervention process include fishing tools, tubing tools, wireline tools, and so on. Downhole tools are also categorized based on the tools application type into flow & pressure control tools, drilling tools, impurity control tools, downhole control tools, and handling tools. Driven by the increasing drilling activities across the globe, drilling tools occupied the largest share in the global market. The demand for more robust drilling tools has been pushed by an increase in the unconventional drilling methods and deep water explorations. Flow & pressure control tools are the second largest market and are expected to grow at the highest CAGR during the forecast period. With the drilling and shale exploration activities on a rise in the U.S. and Gulf of Mexico region, North America leads the global downhole tools market. The recent reports also indicate that North America will continue to lead the global downhole tools market by value for the next five years. The market for downhole tools globally is majorly dependent on the upstream segment of the oil and gas industry. 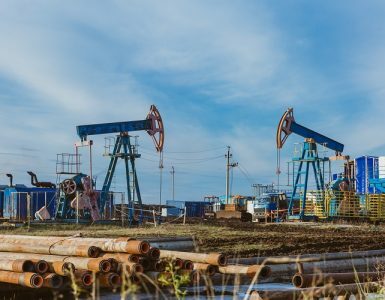 In the times of skyrocketing oil prices, there was a boost in the potential market due to increased exploration and drilling activities globally. 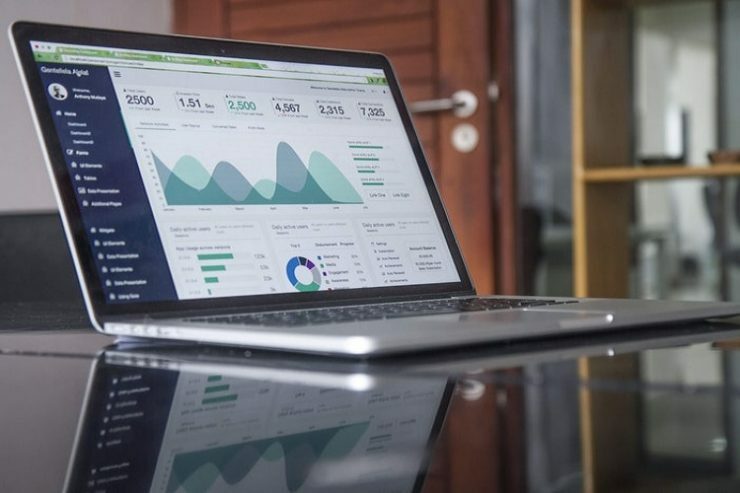 With key players accounting for a high market share, the global downhole tools market is relatively consolidated and these key players adopt multiple strategies to gain a competitive advantage over the other players. These strategies include mergers & acquisitions, contracts, joint ventures, agreements, and partnerships. These employed strategies assist them greatly to succeed in the global downhole tools market. Across the industry, there are many international players involved in the manufacturing of downhole tools. The key players are General Electric, Halliburton, National Oilwell Varco, Schlumberger, and Weatherford. Unconventional oil and gas resources refer to the crude oil and natural gas found in shale and tight sand formations. These resources are one of the major factors driving the global downhole tools market. Coalbed methane is also an unconventional source of natural gas which is found in coal deposits or seams. Over the last 10 years, unconventional energy sources have received sizeable boost mainly because of the gradually falling conventional oil and gas resources. In order to get a clear picture of the market, the global downhole tools market has been categorized on the basis of geography. It clearly reflects that North America will most probably lead the global downhole tools market, accounting for a major share in the next couple of years. The tremendously rising shale and drilling activities in Mexico and the U.S. are instrumental in the high growth of this region. Innovative and effective downhole tools are emerging and are being extensively employed in this region. Certainly, this is another factor propelling the growth of the North American downhole tools market. Further, Europe is expected to observe healthy growth and occupy the second position in the global downhole tools market based on the market share. It is being anticipated that the presence of several downhole tools manufacturers in this region will supplement the growth of the downhole tools market in Europe in the times ahead. In the year 2016, the Americas held the largest share of the global downhole tools market – more than 64%. Owing to the increased number of rig counts which would eventually result in high drilling activities and the rapidly rising exploration and drilling of shale formations, the market potential for downhole tools in the Americas is considerably high. It is most likely that the investments by oil and gas companies in the US will significantly increase in the coming times. This trend is primarily attributed to the upturn in the oil prices. Shale producers are expected to resume operation among the oil and gas exploration and drilling companies. The primary ground for increased investment in the US is the stabilization of crude oil price that helps shale oil producers to sustain in the market and compete with their counterparts. Where can you find the best Downhole Tools manufacturers for Oil & Gas operations? For the successful execution of your projects, it is important to find an appropriate company with a good track record. Energy Dais helps you in connecting with the top manufacturers of Downhole Tools and get the best quotation. Understanding the challenges and complexities of the highly segmented oil and gas industry, Energy Dais arrives as the much-needed intervention. 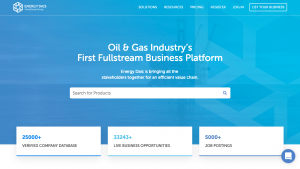 This unique platform, an aggregator in oil and gas, aims to simplify the processes for the industry stakeholders – buyers, manufacturers, suppliers, and service providers. Finding the most qualified manufacturer or supplier of downhole tools is not easy and with Energy Dais, buyers can significantly cut down on their time and cost. The idea is to enhance the efficiency of oil and gas operations. 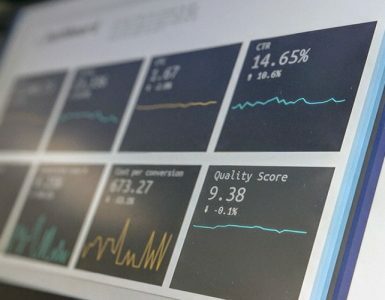 You can find the top downhole tools manufacturers and suppliers, compare their expertise and connect with the best one. Moreover, geography is no more a limitation with Energy Dais. No matter which part of the world you are located in, this online collaborative platform helps you find the best downhole tools. The Energy Dais team constantly works on bridging the gap between the top downhole tools manufacturers, suppliers, companies and the seekers of this product. 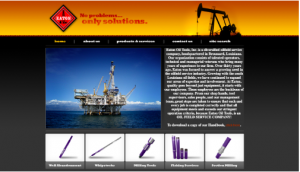 Undoubtedly, they simplify your search for the best downhole tools companies. At zero cost and according to your budget and business requirement, you have the benefit of finding the best downhole tool manufacturer or downhole tools. Energy Dais has listed some of the most prominent companies from India, the Middle East and North America. Based in the USA, Downhole Oil Tools is based in the USA. 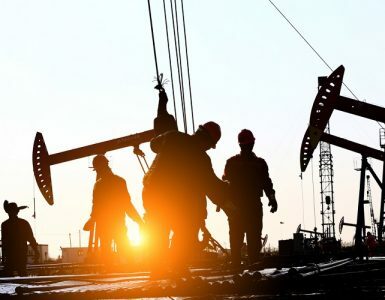 The company provides the oilfield industry with a wide variety of products including drill string accessories, drilling tools, drilling tubular, fishing tools, handling tools and production accessories. 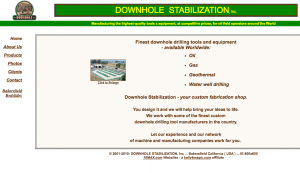 Based in California, Downhole Stabilization manufactures high-quality downhole tools at competitive prices and offers them to the oilfield operators around the world. With a combined experience of over 150 years and a dedicated team, the company works with the vision to provide the best quality services to its customers. This Texas-based company manufactures a diverse range of replacement parts for a wide variety of mud pumps, centrifugal pumps, rig parts, and swivel parts across the international market. Drillers Supply has a significant global presence and their highly skilled team employs state-of-the-art equipment and proven quality control methods. 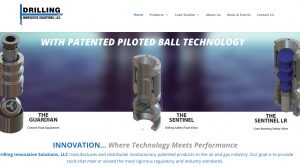 Drilling Innovative Solutions, based in the USA, is a manufacturer and distributor of patented products for the oil and gas exploration industry. The company is mainly into designing and manufacturing of downhole tools. Moreover, Drilling Innovative Solutions also prioritizes safety while designing and manufacturing downhole tools. 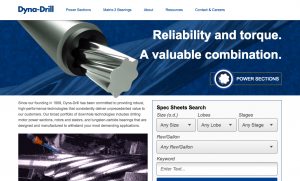 Dyna-Drill provides technologically advanced downhole motor equipment and uses the latest developments in computerized engineering, manufacturing, quality-assurance technologies and sophisticated machine tools to improve its products. With time and efforts, Eaton Oil Tools has acquired expertise in downhole tools mainly in Cased and Open Hole Fishing, Casing cutting, Milling, Section milling and Window cutting. The customers’ needs and requirements are the priority for Eaton according to which all its components are customized. 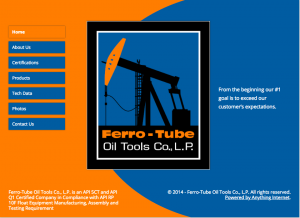 With an excellent track record in the manufacture of downhole tools, Ferro-Tube has grown into a multinational corporation serving clients across the globe. 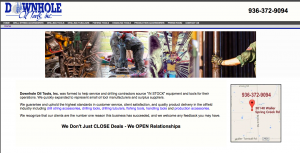 To explore other trusted downhole tools manufacturers and suppliers across the global oil and gas community, you may click here. Energy Dais is not only simplifying business processes for the industry stakeholders but also creating an informed outlook on the evolving energy dynamics. Through detailed analysis and insightful research, their team publishes highly informative blogs and reports on the platform. The world of energy is at the core of global operations. The larger community needs to be more aware of this highly complex and vast industrial landscape as it has a domino effect on all other sectors. You can also learn about the major events in the oil and gas industry in 2018 by visiting the website. Energy Dais aspires to help the entire oil and gas industry in arriving at informed decision making for better growth prospects. Be it oil prices, geopolitics, trade wars, sanctions or the wide range of products and services, Energy Dais is here with all the required information. To be a part of this movement, all you need to do is – take the first step towards simplifying energy! 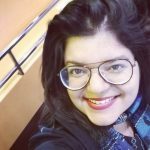 With a background in English Literature and a diverse experience in writing and editing, Garima now focuses her creative energy in the dynamic oil and gas industry. She believes that the world needs to be more aware of the myriad shades of the energy landscape, which has a domino effect on other contours shaping our society. Get the latest insights of the oil and gas industry straight to your inbox.